Some people see Julian Assange as some sort of “hero” for joining David Manning in espionage and the release of Department of Defense documents — thousands of documents — THAT COST THE LIVES OF AMERICANS SERVING OVERSEAS. Let’s say you published something controversial on the Internet and you started getting death threats. How would you like being “doxed”? In other words, what would your reaction be if someone who didn’t like you tweeted out to the world your home address? And your phone number? And your photo? And photos of your children? And the address of their school? And information about when you left the house each day, the license-plate number of your car, and the location where it was parked? Julian Assange of WikiLeaks. Remember him? The one you blame for working with the Russians to subvert democracy? He doesn’t necessarily have America’s best interests at heart, does he? He never did. Why is Assange an enemy of democracy for publishing purloined political gossip, but Manning a whistleblower for helping Assange publish far more sensitive, far more important, indeed life-endangering material? Among the documents Manning turned over to Assange were war logs that contained the names of hundreds of civilians who cooperated with U.S. forces. 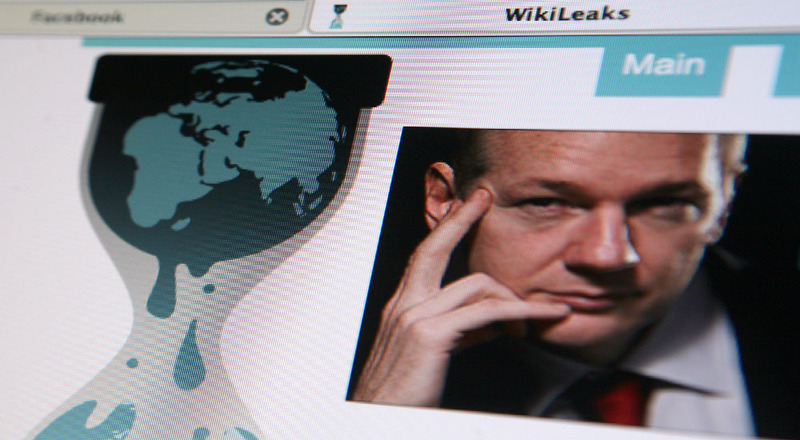 Assange simply published those logs en masse, without redacting the names of civilians involved, placing those fighting for freedom in their countries in great peril. Just as Americans have a wealth of information each individual keeps private, like Social Security numbers or bank account numbers or certain unknown events that occurred in their lives that revive hurtful memories and pain — information they wouldn’t want just anyone to have — there is an abundance of information in government files that the average U.S. citizen doesn’t have any real right to view, except and until they have gone through proper channels and/or a court process or FOI requests. We have agreed to such channels, as citizens, to certain processes and oversights in matters of government. There are men and women in place to provide oversight over the government. And the problems we find too often today have resulted when those providing the oversight we less than trustworthy. If these people were immoral and untrustworthy, one doesn’t simply throw open the vault and release everything, especially when it may reveal CIA operatives in foreign countries, resulting in their murders, or troop positions and capabilities, resulting in unnecessary U.S. casualties. The failure is with Us as a society, in that so many men and women elected today are immoral and untrustworthy and they appoint people to positions of similar character. Nothing will change in the halls of government until things change in America and Her people return to God and the principles that founded America. Countries also need to be able to communicate with each other discreetly. Sometimes a foreign government will privately agree with a U.S. policy and be willing to cooperate but cannot acknowledge their stance publicly because of preexisting public attitudes. For example, in 2010, the United States wanted to launch drone strikes against operatives of Al Qaeda on the Arabian Peninsula. Because allowing U.S. airstrikes on Yemeni soil would irritate the Yemeni people, president Ali Abdullah Saleh told General David Petraeus, “We’ll continue saying the bombs are ours, not yours.” This was one of the secrets revealed in the diplomatic cables released by WikiLeaks. The choice to reveal that conversation indicates that WikiLeaks finds the secrecy about the American bombing efforts more troubling that what those al-Qaeda members were doing. Those of us who paid attention figured out early on that Julian Assange always seemed more interested in releasing information that harmed United States vital interests and national security than he was in helping the American people uncover the Traitors in their midst. Assange always seemed particularly angry with the American and Western European governments, and never all that bothered by the world’s indisputably brutal and despotic regimes, in Russia, Iran, Cuba, China, North Korea, Venezuela, and Syria. Why Can't Trump Criticize the Press?Obama Agrees with President Trump... Again!